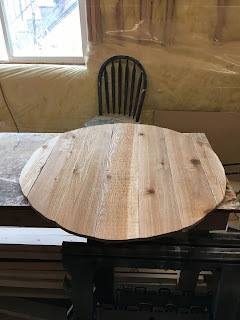 Let me tell you the birth story of this project. 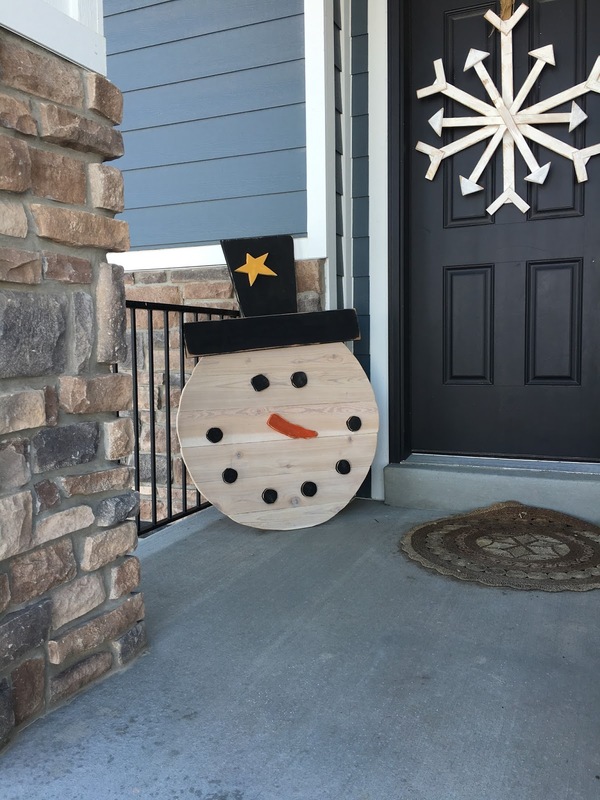 My sister's friend bought this snowman in the midwest. Since she knows my sister loves stuff like this, she texted this picture to her. I believe this snowman is made out of a giant spool, unfortunately, that's all I can tell you about it. So, like all our other projects, we dove in and made a plan as we went. First thing we did was cut 3 (5.5"x 6') cedar fence slats in half (used 5 of the 6 half pieces). 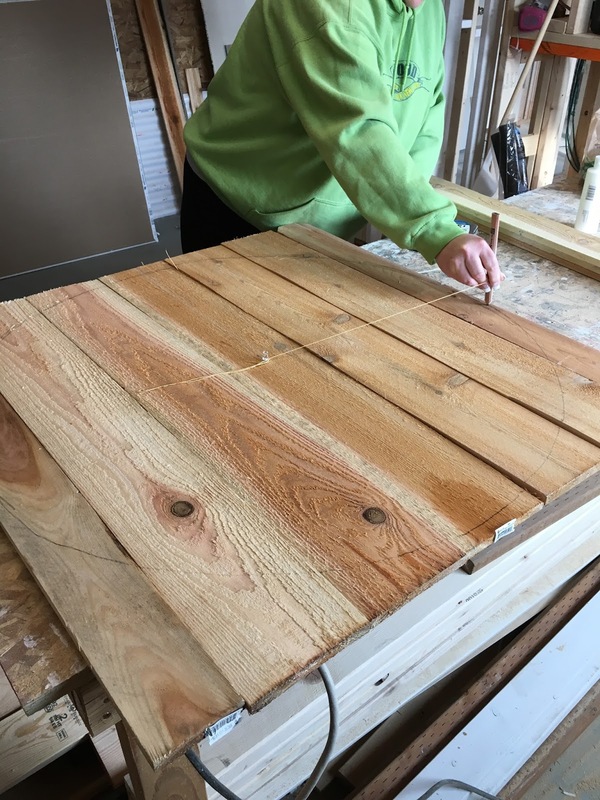 We also cut 1 (3.5"x6') cedar fence slat in half. We laid the boards out, found the middle and drew a big circle as shown. 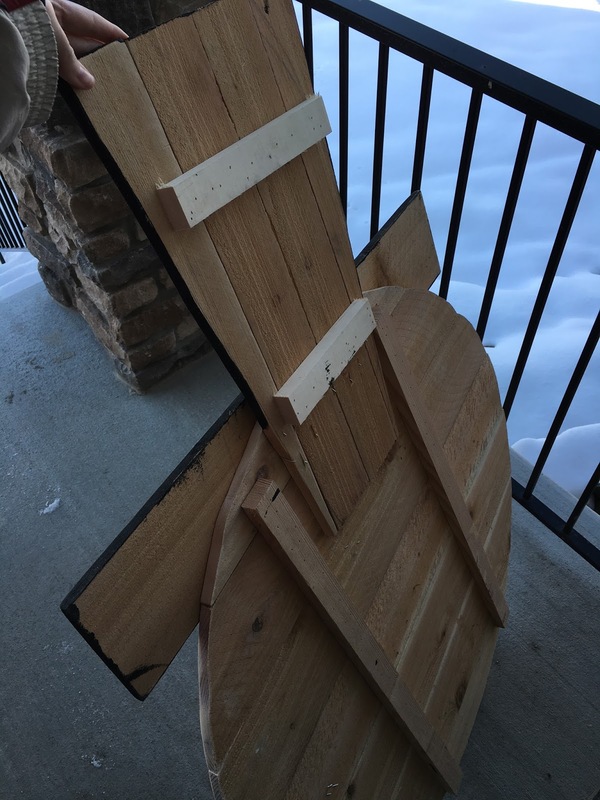 I used my bandsaw to cut each board. I also cut out of the scraps: 2 eyes, 6 circles for the mouth, a nose, star, and a hat. I sanded and painted everything. The face is whitewashed. Here's a back shot to show how we put this thing together. This guy turned out so cute! 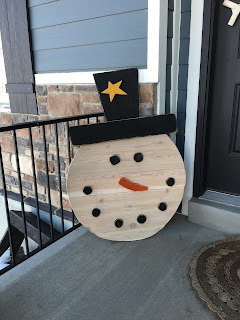 Like with the pallet turkey, I was apprehensive about this project, but with some gentle pushing from my sister, we were able to make a really cute winter craft to display on each of our porches. He is so big that we can see him down the street. My sister came up a few days later and made some snowflakes for her shelf. Each snowflake is different in size and design. We made the winter letters a few years ago. 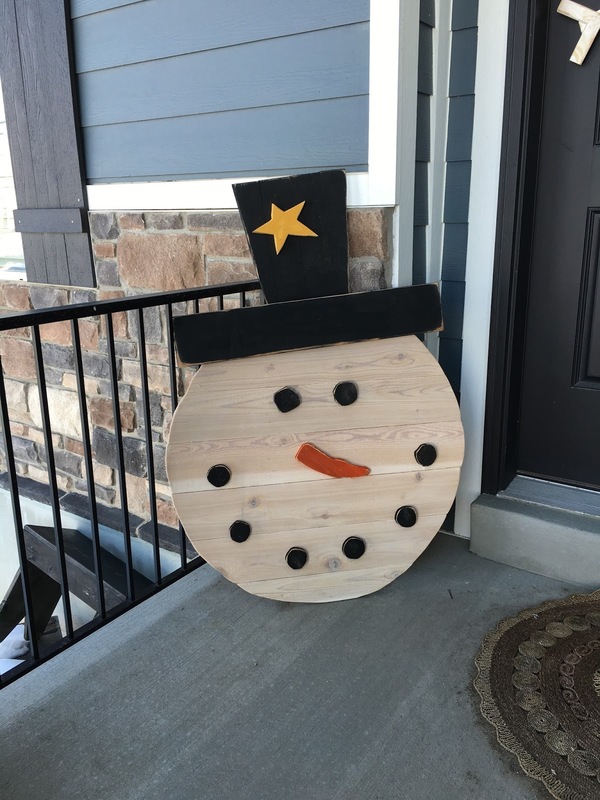 I love your pallet snowman, just adorable! I've been wanting to make one myself. Maybe next year!!!! !